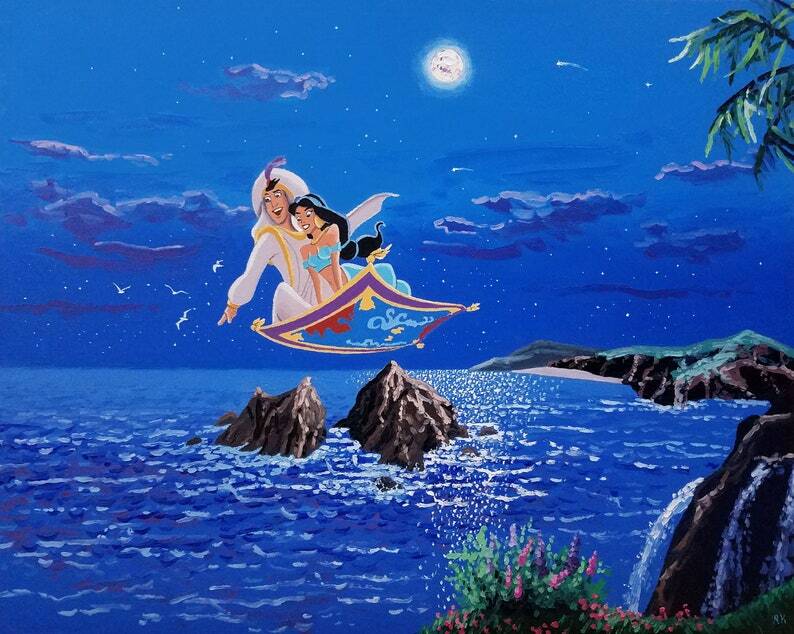 As Aladdin and Jasmine fly around the world, he doesn't forget to take her over a sparkling, moonlit rocky coast, beneath a gorgeous moon. They fly over flowers and waterfalls, and listen to the gentle sounds of the waves far below! It really is a whole new world. A beautiful one.